So if you’re here reading this article, you have one and only one question: does “Captain Marvel” deliver what is at this point is the standard Marvel movie experience by delivering a bonus scene or two to tease a future movie during or after the credits? Does it have a post-credits scene? 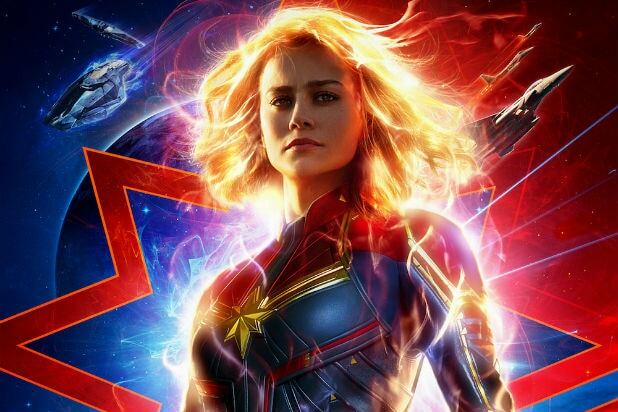 The answer is yes, “Captain Marvel” does contain two extra scenes, one that comes midway through the credits and another at the very end of the credits. You’ll definitely want to stick around for at least the mid-credits scene, which provides a brief glimpse at “Avengers: Endgame.” The extra scene at the end of the credits is more of a non-essential but hilarious bonus — if you’re really gotta get out of there, you won’t be missing any hugely crucial bit of content. If you don’t wanna know any of the details for these bonus scenes, you should close this tab now. So the first extra scene, which comes at the break between the cool animated first stage of the credits and the actual credits scroll, is what appears to be an actual scene from “Avengers: Endgame.” It’s a scene we’ve seen pieces of before, back in the first trailer in December. It begins with Bruce Banner (Mark Ruffalo), Steve Rogers (Chris Evans), Natasha Romanov (Scarlett Johansson) and Colonel James Rhodes (Don Cheadle) hanging out in Avengers HQ surveying the aftermath of the finger snap. It would appear that this scene takes place relatively soon after “Infinity War,” as we see a death counter that continues to rise as we watch. Meanwhile, they’ve got Nick Fury’s (Samuel L. Jackson) beeper hooked up to some kind of device, and it’s sending its signal. But as we watch it turns itself off. Our heroes don’t know what the pager is doing, but they know it must be important so they try to get it started again. But before they’re able to do that Carol Danvers (Brie Larson) appears out of nowhere and asks, in a disturbed tone, where Fury is. And then the scene ends. There’s not much info to glean from that, beyond the fact that Carol seemed to appear out of thin air. It’s likely that this scene is condensed somewhat and that it will last longer in “Endgame,” but we do have to consider the possibility that Carol is actually able to materialize like that. Or teleport in. Meanwhile, the end credits scene features scene stealer Goose the cat, who was revealed earlier in the movie to be a Flerken. Goose stumbles up to Nick Fury’s desk, starts heaving like he’s having a hairball, and then suddenly throws up the Tesseract (which he swallowed earlier on Mar-vell’s laboratory). This is, in the MCU tradition, is your more comedic bonus scene.